Carnegie Mellon University has funded six new brain research projects through its ProSEED grant program. Part of CMU’s BrainHubSM initiative, the projects range from creating advanced diagnostics for mild traumatic brain injury and developing a high resolution, portable electroencephalogram (EEG), to studying how the brain responds to mechanical stimuli and creating computational methods to study neuroscience data. Each newly funded project proposes innovative solutions to answer some of the most pressing questions in brain science and represents the university’s strengths in biology, computer science, psychology, statistics and engineering. These areas are the foundation for the global BrainHub initiative, which focuses on how the structure and activity of the brain give rise to complex behaviors. CMU's BrainHub initiative focuses on how the structure and activity of the brain give rise to complex behaviors. “Learning more about the mysteries of the human brain requires creative approaches from a variety of perspectives. These projects demonstrate BrainHub’s excellent ability to bring together faculty from various backgrounds to address some of brain research’s most critical and complicated needs,” said Gerry Balbier, executive director of BrainHub. ProSEED is a program initiated by Carnegie Mellon President Subra Suresh to provide startup funding for innovative, cross-disciplinary projects that span a number of disciplines. The ProSEED/BrainHub seed grants were created to help researchers develop novel approaches to the study of brain and behavior, and foster new collaborations between faculty members from different departments within CMU and through partnerships that extend beyond the university. The ProSEED/BrainHub grants are funded through gifts from Henry L. Hillman and Kris Gopalakrishnan. This grant round, which totals $274,446, will allow researchers to complete the fundamental research needed to apply for further funding from governmental and other sources. Matching funds for this round of ProSEED/BrainHub grants were provided by the Mellon College of Science, the College of Engineering, the Dietrich College of Humanities and Social Sciences, the School of Computer Science and the College of Fine Arts. Currently, a non-invasive, high-resolution and portable EEG system that could be used both in research and clinical settings does not exist. A team of engineers and cognitive neuroscientists will work together to build the “neural web,” a 10,000 electrode transportable EEG that will spatially localize activity in the brain and use low energy. The team will then use this proof-of-concept in several visual cognition studies to validate the concept, assessing if such a system can be used to decode whether a subject is looking at two different faces or at an upright or inverted face. The project team consists of Pulkit Grover, assistant professor of electrical and computer engineering; Shawn Kelly, senior systems scientist in the Institute for Complex Engineered Systems; Jeffrey Weldon, assistant professor of electrical and computer engineering; Marlene Behrmann, the Cowan Professor of Cognitive Neuroscience and CMU director of the Center for the Neural Basis of Cognition (CNBC); Lori Holt, professor of psychology; and Michael J. Tarr, professor and head of the Department of Psychology. In mild traumatic brain injury (TBI), the damage is often only at the cellular level. The University of Pittsburgh’s Walter Schneider has pioneered an advanced imaging technique — known as the High Definition Fiber Tractography — that has begun to successfully visualize these types of injured cells. Schneider, CMU Professor of Mechanical Engineering Kenji Shimada and the Pittsburgh Supercomputing Center’s Anirban Jana will build on Schneider’s work that accurately imaged nerve fiber tracts in the brain’s white matter. They will create biomechanical simulations of the brain undergoing trauma that will include these fiber tracts to predict which neural pathways are likely to be damaged in a given trauma. This information will be crucial to developing improved diagnostics and early interventions for mild TBI. In order to understand the neural basis of music perception and develop new techniques for mood therapy using music, Tai-Sing Lee, Roger Dannenberg and Richard Randall will explore how musical auditory objects can be decoded from EEG signals and investigate how they can be related to specific emotional states. Their project will identify the relationship between EEG signal structures and basic musical components, such as tempo, pitch height and loudness, and the more abstract notion of musicality. It also will use EEG neural activity to find relationships between music and affective states, allowing the researchers to discover how certain emotions can be controlled by altering specific musical parameters. Lee is a professor of computer science, Dannenberg is a professor of computer science and Randall is the Cooper-Siegel Associate Professor of Music Theory. To fully understand how neurons in the brain communicate with each other, researchers need to gather detailed information about where and when electrical impulses are sent between synapses. Capitalizing on Carnegie Mellon’s expertise in materials, nanotechnology and neuroscience, Assistant Professor of Biomedical Engineering Tzahi Cohen-Karni and assistant professors of biological sciences Aryn Gittis and Sandra Kuhlman will create new nanomaterials-based probes that can be used to record electrical signals at a high level of spatio-temporal resolution. The technology they plan to develop could be used to study brain abnormalities associated with Parkinson’s and Alzheimer’s diseases. Advances in microscopy and fluorescent calcium sensors have revolutionized how neurobiologists study the activity in neural circuits during behavior and learning. These methods can gather data for the many different types of neuronal cells that compose neural circuits, but the data is complex, and there is no standardized technique to analyze it. Kuhlman and Associate Professor of Biomedical Engineering and Computational Biology Ge Yang will set a benchmark for computational analysis of calcium imaging and create a generalized platform that takes into account the diversity between neuronal cell types and their firing patterns. Historically, research on neuronal behavior has focused on how neurons respond to chemical or electrical stimuli. Mechanical forces also influence how neurons behave, as evidenced by conditions like post-traumatic stress disorder and concussion. Associate Professor of Biological Sciences Manoj Puthenveedu and Professor of Mechanical Engineering Philip LeDuc will develop a “Nerve Integrated Tissue on a Chip” to directly image, under precisely controlled conditions, how mechanical forces influence the behavior of neurons and their responses to neurotransmitters and drugs. 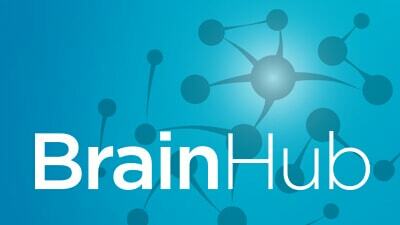 Find out more about BrainHub.